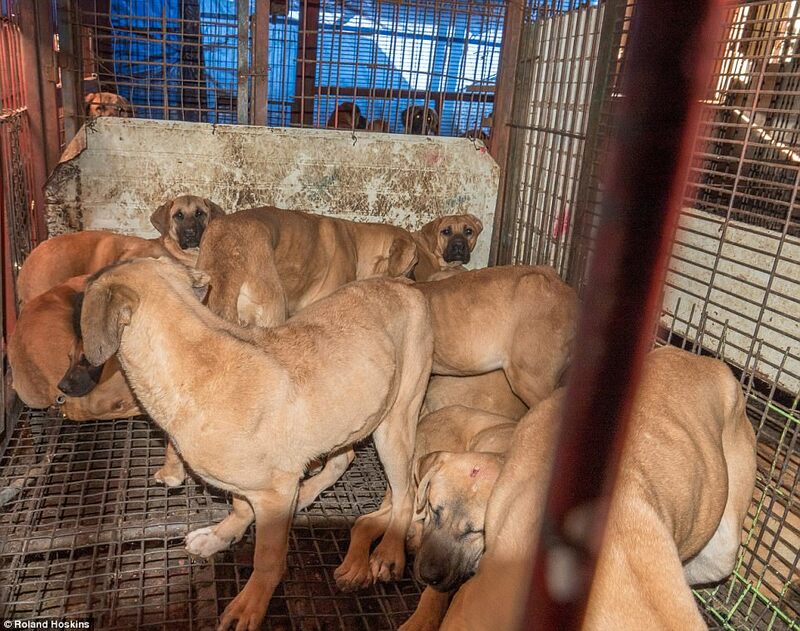 Yeosu, South Korea, Shut down the illegal dog meat farms, slaughterhouses and markets. Home / Blog / Yeosu, South Korea, Shut down the illegal dog meat farms, slaughterhouses and markets. In Yeosu, there are countless dog farms, slaughterhouses, markets and restaurants where the dogs, who are tortured their entire lives, end up being slaughtered in the most inhumane ways, such as by electrocution, hanging or beating; and then thrown into boiling water – sometimes while they are still alive. In many places, dogs are being killed in full view of other terrified, caged dogs; and this takes place in broad daylight. In addition, many abandoned and stolen former pets end up in this industry, and are subjected to the same cruelty. A Search Engine reveals the sickening scale of Yeosu’s dog meat demand. The searches resulted in: 196 Health Food Shops; and 21 dog meat restaurants in and around Yeosu. Even if half of these ‘Health’ Food Shops and restaurants serve dog and cat ‘ingredients’ in one form or another, just imagine how many dog/cat slaughterhouses must be present in and around Yeosu in order to supply all of these outlets. Please sign petition, call, write and email the Yeosu Mayor and the City Council TODAY! Send emails to the Yeosu City Council members. 1. Click HERE to go to Yeosu City Council members list. 2. Click on each council member’s green button to go to their home page. 3. Click on at the right side of the homepage. The email form will pop up. 4. Enter the following information. * 받는사람 – Name of the council member. Do not change this. * 보내는 사람 – Your name. * E-mail – Your email address. * 휴대폰 – Your mobile number. Type in your phone number or “000-000-0000”. * 제목 – Subject of your message. * 내용 – Message. Copy and paste “Suggested Message” below or use your own words. 5. Click at the bottom to send your message. 6. Message “council.yeosu.go.kr says이메일을 전송 하였습니다.” which means “Your message is sent.” will pop up. Click OK to close the page. Subject: Yeosu, South Korea, Shut down the illegal dog meat farms, slaughterhouses and markets. Petition: Yeosu, South Korea, Shut down the illegal dog meat farms, slaughterhouses and markets. Please! Stop this these animals are loving companions! They are intelligent and feel as we do! They feel sadness and fear but are also able to feel love and loyalty. Stop hurting and torturing these beautiful creatures! God will bless you! Please stop this cruelty to all animals. Stop torturing these beautiful creatures!